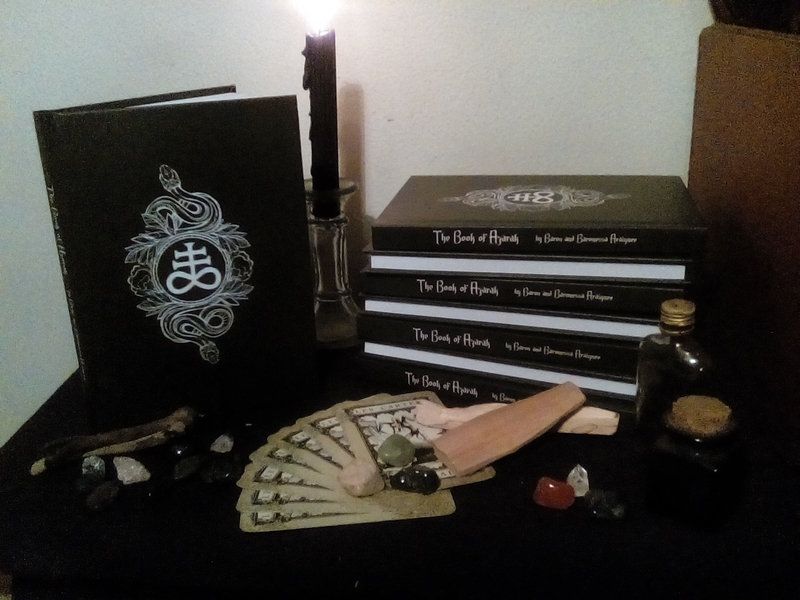 The Book of Azarak - by Baron & Baronessa Araignee: Book Review! Araignee’s Arcane Services, maintained by a wonderful necromantic couple living and based in South Africa, are well known on Occult Forums, maintain a website for their services, and have together even written several books on occultism and magic. A match made in heaven - or the hells themselves. The Book of Azarak may at first seem to the lay person as belonging to a darker current of magic practice. But that is not true. It enlightened me on various things that I had no knowledge about, and even for having a nicely rounded “smore” of information packed into that small little book - there are things that someone, even for your “seasoned occultists” - did not know! It contains a good variety of both helpful and harmful spells, or moreso, beneficial and baneful work. It gives an interesting primer and has great articles about methods in which the book may be used, and discusses that in conjunction with fascinating history. Within it’s pages a good chunk of it deals with familiar spirits, all are helpful, and all obscure but powerful! They are of wondrous use for the practitioner. It contains theremore, tables and charts and diagrams; which add to the layers of understanding just weaved into its pages. Dreams - divination - spellwork (not to mention, ‘magic contraptions and bottles and jars - oh my!’) - familiar spirits - knot magic - theory and practice: The Book of Azarak is a complete little system all in itself, and gives a great look at what Witchcraft is all about.